AT LEAST 8 GUESTS TO PEDAL! 7 OR LESS DOES NOT GO! 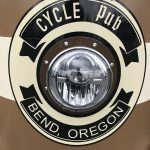 The original Cycle Pub that started it all in Bend! 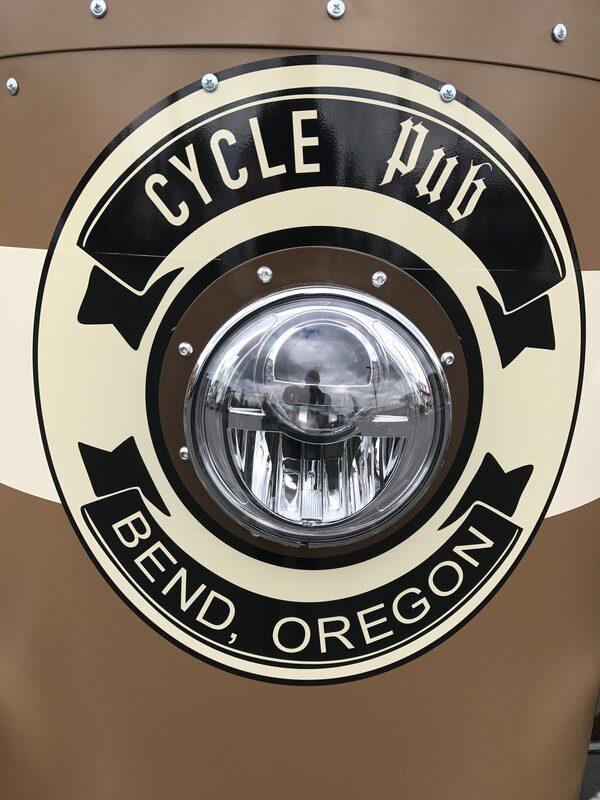 With stylish good looks, and a true pub-like feel, the Cycle Pub is a great way to tour the Bend Ale Trail, and experience world class craft beer up close and personal. On our Big Bike, there’s ten pedaling seats, two passive bike seats, and a super comfy bench for two more on the back. Our best description, it’s a rolling pub on wheels, that you pedal! 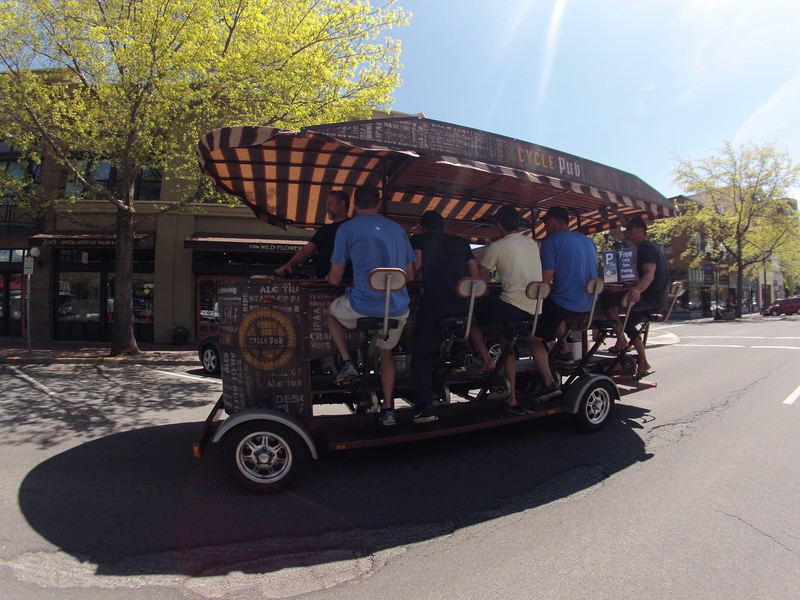 Our incredible Big Bike pedal pub. 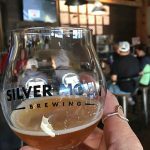 Tours on the iconic Cycle Pub of Bend are truly a one of a kind way to take in the sights of Bend, while enjoying the many great beers and breweries along the famous Bend Ale Trail. You may choose to move your booking and deposit to a future date/time with notice of 7 days or more. You may cancel your tour 7 days or more from your scheduled date/time and receive a full refund of your payment/deposit. If you cancel your tour within 7 days of your scheduled date/time please note that fifty percent of the original tour cost will be forfeited. If you cancel your tour within 24 hours of your scheduled tour time, or are a no show at the time of your tour, please note that one hundred percent of the original tour cost will be forfeited, as we will have lost the opportunity to book another tour in your place. If your tour is canceled by Cycle Pub for weather related, or any safety related reasons, then you are entitled to a credit in our system to rebook a tour in the future or a full refund back to your original payment credit card. 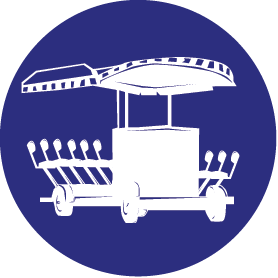 Any tour canceled by Cycle Pub for violations related to our Zero Tolerance policy will not be refunded. YOU HAVE BOOKED OUR BIG BIKE WHICH REQUIRES A MINIMUM OF 8 RIDERS AND HAS A FIRM 14 RIDER MAXIMUM CAPACITY. ALCOHOL IS NOT ALLOWED ON THE CYCLE PUB IF ANY RIDER ON OUR BIKE IS UNDER THE AGE OF 21 YEARS OLD. As the booking individual, YOU agree to accept liability for all members of your private tour. The entire bike is yours for a private tour, so there is no need to update us if your number of riders changes. 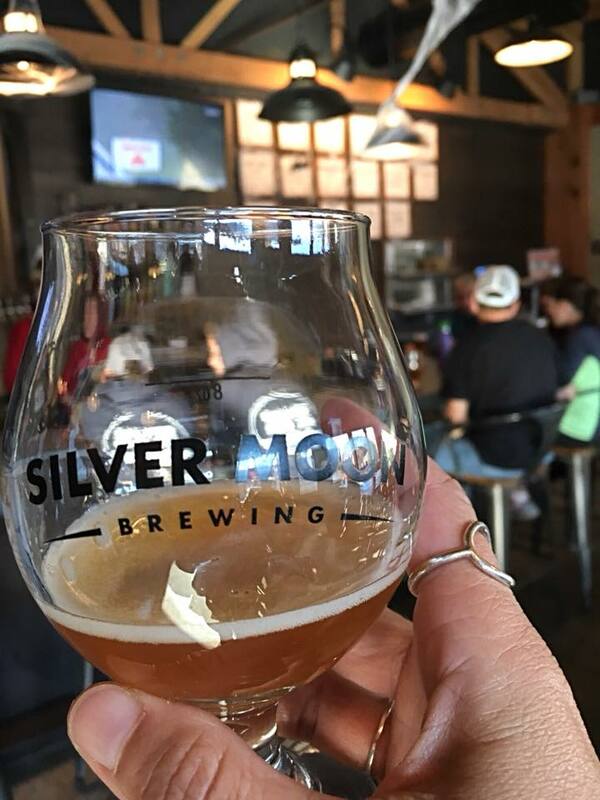 **PLEASE NOTE OUR UPDATED ALCOHOL POLICY FOR 2019**nYour group may bring up to a maximum of TWO EMPTY 64oz growlers for beer or cider as well as TWO 750ml sized bottles of wine aboard to enjoy while in motion. Growlers can be filled at your first stop and restocked while out on tour but the total number of growler/wine bottles allowed aboard at any time is capped at 4 items. INDIVIDUAL CANS OR BOTTLES ARE NOT ALLOWED. NO HARD ALCOHOL AT ANY TIME. THE CONSUMPTION OF CANNABIS PRODUCTS WHILE ON OUR TOUR, AT STOPS OR WHILE AT OUR TOUR CENTER PROPERTY IS PROHIBITED AT ALL TIMES DUE TO OLCC LAWS!nSMOKING/VAPING IS PROHIBITED WITHIN 10 FEET OF OUR BIKE OR ANY OREGON BUSINESS. 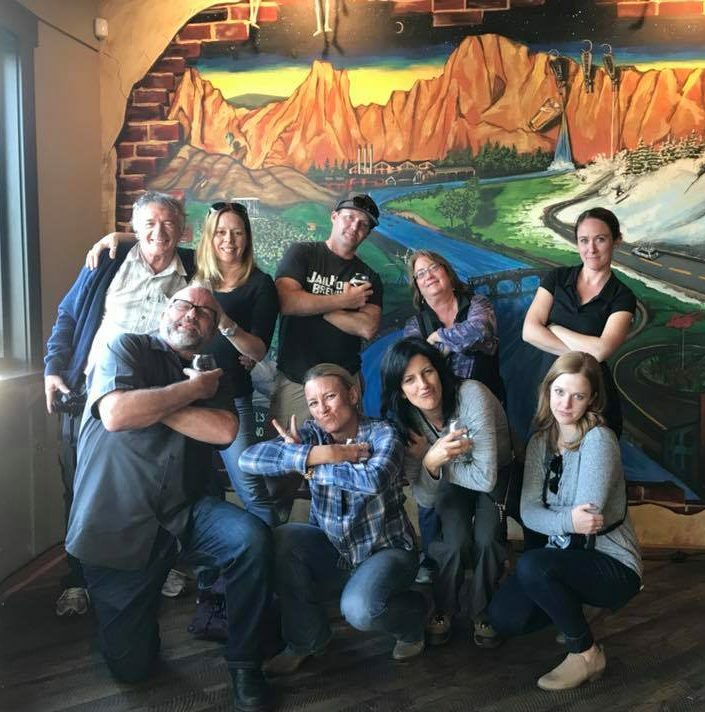 Any guests that arrive at final tour check-in exhibiting any signs of inappropriate behavior or intoxication will not be allowed on the Cycle Pub and your tour may be canceled without refund if your number of competent riders falls below our mandatory minimum. All riders must be at least 12 years of age or older. For safety reasons there are simply no exceptions. All riders 16 and under are subject to the Oregon Helmet Law, and must wear a bicycle helmet for the duration of the ride. We can provide helmets if requested. Any disrespect toward our Driver, Vehicle or the community of Bend will result in immediate termination of your tour, without refund. No confetti / confetti cannons messy party supplies..etc to avoid leaving a mess around Bend. Tours will proceed as scheduled on our Big Bike in light rain, although unsafe conditions such as lightning, heavy rain, or snow and ice on the roadway will cancel. PLEASE do not book a tour if you feel your group may be fair-weathered riders, no refunds will be offered outside of cancellations by Cycle Pub for weather-related safety issues outside of cancellations by Cycle Pub for weather-related safety issues.